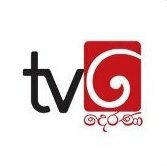 General TV Channel / TV Derana is a Sinhalese language free-to-air entertainment television channel broadcasting in Sri Lanka. Launched on 11 October 2005, it is one of the most popular free-to air networks in the country. Its main transmission tower is located in Colombo, and coverage is extended nationwide via substations in Nuwara Eliya, Deniyaya, Gammaduwa, Kandy, and Kalutara. The channel is also available on digital medium through Dialog TV, PEO TV and the newly launched OTT platform “GLUUOO”.